Waterproof camera of choice, water resistant up to 30 meters! This waterproof camera records TV-quality and HD video. With her ultra light weight and ease of use, you'll record all your trip and session. 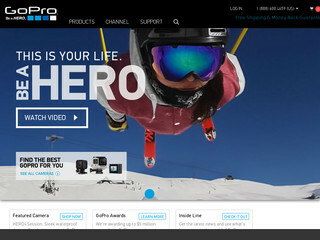 Visit the website of GoPro Camera now ! GoPro Camera , belonging to category "Others"
Organizer of centred holidays surfing worldwide. With Manny Vargas.